James R. Snodgrass, Jr., age 61, residing in South Bend, Indiana passed away at 2:58 pm on Saturday, September 8, 2018 at Memorial Hospital, South Bend. James was a semi driver for 30 years. He was born on May 6, 1957 in Niles, Michigan to James R. Snodgrass, Sr. and Shirley Snodgrass. On October 11, 2003, James married Deborah R. (Koers) Snodgrass, who survives. Along with his loving wife, Deborah Snodgrass, James is also survived by sisters, Sandy (Jean) Snodgrass of Stevensville, MI and her twin, Susan (Steve) Manges of Osceola; brothers, Daniel (Linda) Snodgrass of Galien, Michigan and Greg (Stephanie) Snodgrass of Buchanan, MI; his mother, Shirley Snodgrass of Niles; and sister-in-law, Patricia A. Koers of South Bend. 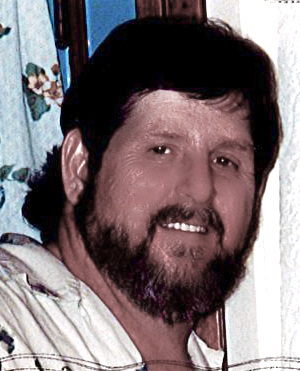 James was preceded in death by his father, James, Sr.; a sister, Sharon Snodgrass; and two brothers, Dave Snodgrass, James Michael Snodgrass; and mother and father-in-law, Gilbert (Frances) Koers. Funeral mass will be held at 1:00 pm Tuesday, September 11, 2018 at St. Anthony dePadua Catholic Church, 2120 E. Jefferson Blvd., South Bend, IN 46615. Friends may visit with the family from 12 noon until time of services at the church. Burial will follow at Highland Cemetery, South Bend, IN. Palmer Funeral Home – River Park is assisting the family. Online condolences may be shared at www.palmerfuneralhomes.com.